The signing of a Munich-class agreement with Iran that hands it more than it ever hoped to pull off represents a shocking, craven American capitulation to an apocalyptic crazy state: a North Korea with oil. Nothing in Western history remotely approaches it, not even Neville Chamberlain’s storied appeasement of another antisemitic negotiating partner. But it also augurs the possibility of a nuclear war coming far sooner than one could have imagined under conventional wisdom worst-case scenarios. Following the US’s betrayal of Israel and its de facto detente with Iran, we cannot expect Israel to copy longstanding US doctrines of no-first-nuclear-use and preferences for conventional-weapons-only war plans. After all, both were premised (especially after the USSR’s 1991 collapse) on decades of US nuclear and conventional supremacy. If there ever were an unassailable case for a small, frighteningly vulnerable nation to pre-emptively use nuclear weapons to shock, economically paralyze, and decapitate am enemy sworn to its destruction, Israel has arrived at that circumstance. Why? Because Israel has no choice, given the radical new alignment against it that now includes the US, given reported Obama threats in 2014 to shoot down Israeli attack planes, his disclosure of Israel’s nuclear secrets and its Central Asian strike-force recovery bases, and above all his agreement to help Iran protect its enrichment facilities from terrorists and cyberwarfare – i.e., from the very special-operations and cyber forces that Israel would use in desperate attempts to halt Iran’s bomb. Thus Israel is being forced, more rapidly and irreversibly than we appreciate, into a bet-the-nation decision where it has only one forceful, game-changing choice — early nuclear pre-emption – to wrest back control of its survival and to dictate the aftermath of such a survival strike. The Iranian elite’s ideology and controlling political psychology is inherently preferential towards nukes and direct population targeting as a way to implement Shi’ite messianism and end-times extremism. Iran is a newly nuclear apocalyptic Shi’ite regime that ranks as the most blatantly genocidal government since the Khmer Rouge’s Sorbonne-educated leaders took over Cambodia in April, 1975. Senior Iranian officials have periodically tied nuclear war to the return of the Twelfth Imam or Mahdi, which Iran’s previous president anticipated within several years. This reflects not just the triumphalist enthusiasm of a new arriviste nuclear power that just won more at the table than it dared to dream. It also reflects a self-amplifying, autarchic end-days theology that is immune to both reality testing and to Western liberal/progressive tenets about prim and proper nuclear behavior. Admittedly, Iranian leaders have lately resorted to envisioning Israel’s collapse in more restrained terms through Palestinian demographic takeover of the Israeli state and asymmetric warfare. Still there remains a lurid history of Iranian officials urging the elimination of Israel and its people, of allocating their nukes to Israeli territory to maximize Jewish fatalities, of Iranian officials leading crowds in chants of “Death to Israel!” Iran’s government also released a video game allowing players to target various kinds of Iranian ballistic missiles against Israeli cities – this as part of intensive propaganda drumming up hatred of Jews. A more recent video game envisions a massive Iranian ground army marching to liberate Jerusalem. In all, Iran’s official stoking of genocidal Jew hatred is far beyond what Hitler’s government dared to advocate before the 1939 outbreak of World War 2. The deliberate American silence over Iran’s genocidal intentionality sends an unmistakable signal to Israel that the US no longer recognizes a primordial, civilizational moral obligation to protect it from the most explicit threats imaginable. It is truly on its own, with the US in an all-but-overt alliance with its worst enemy. The shock to Israel’s leaders of this abrupt American lurch into tacitly accepting this Iranian intentionality cannot be understated. Iran is violating the core tenets of the 1949 Geneva Conventions, a US initiative after the Tokyo and Nuremberg war-crimes trials to codify genocide as a crime against humanity. Now the US is silent. But this shift is also recent. Every US government prior to President Obama would have foresworn nuclear talks with such a psychopathic regime or would have walked out in a rage upon such utterances. Yet Iran’s genocidal threats have had no discernible effect on Obama’s canine eagerness for a deal. It’s as if 75 years ago a US president had cheerfully engaged in peace talks with Hitler and his SS entourage despite learning the details of the Nazis’ secret Wannsee Conference where Hitler signed off on the Final Solution for the Jews. But whereas Hitler had the sense in that era to keep that conclave secret, Iran’s Wannsee intentionality toward Israel and world Jewry has for years been flamboyantly rude-and-crude and in-your-face. That this Iranian advocacy of a second Holocaust drew no objection from the US negotiators of this deal should make moral pariahs out of every one of them – including our president and Secretary of State. These two factors alone, especially the abrupt evaporation of the US’s ultimate existential bargain with Israel through Obama’s de facto alliance with the mullahs, would drive Israel to the one attack option it can unilaterally use without running short of munitions and experiencing the massive US coercion embedded in that dependence. But there are other reasons why early Israeli nuclear pre-emption is not only justified but almost mandatory. First, it is too late to stop Iran’s bomb-making momentum with conventional weapons or sanctions. That nation’s science and technology base is robust and improving. It has learned to domestically produce high-performance gas centrifuges whose uranium gas output is such that smaller numbers of them are needed for breakout. The US spent decades and many billions at labs like Oak Ridge National Laboratory on composites, software-controlled magnetic bearings, gas flow separations, thermal controls and ultra-precision manufacturing for these thin-wall, very-high-speed devices. Yet Iran has come up the centrifuge learning curve with surprising speed. Its metallurgists are familiar with a novel aluminum forging method that may yield nanophase aluminum shells so strong that they approach the centrifugal strength usually associated with more demanding composite-shell gas centrifuges. Also, Iran’s bomb engineering and physics can tap the sophisticated bomb designs and re-entry vehicle (RV) skills of North Korea, which is reducing the weight and mass of its H-bombs to fit on ballistic missiles and whose collaboration with Iran reportedly included Iranian technicians at North Korean bomb tests. Other technology sources in the Nuclear Bombs R Us cartel for wannabe proliferators set up by rogue nuclear scientist A.Q. Khan of Pakistan include China, Russia and Pakistan. Worst of all, under the US-Iran deal, Iran’s ballistic missiles can improve their reliability, accuracy, throw-weight and their post-boost RV-release thrusters. Second, Iran’s underground nuclear targets are likely harder than American and Israeli hard-target munition (HTM) developers have assumed. Why? Because Iranian engineers have perfected the world’s toughest concrete, developing mixtures using geopolymers, quartz powders (called fume) and metal and ceramic fibers. The result is hardness levels reportedly up to 50,000-60,000 psi in experimental samples. This means that even shallow “cut and cover” hard targets like the Natanz centrifuge enrichment plant, an armored complex in an excavated pit that is then covered, can resist destruction by the US’s most lethal hard-target bomb: the 30,000-lb “Massive Ordnance Penetrator.” Only the B-2 and the B-52 can carry the MOP. Yet while the MOP can penetrate ~200 ft into 5000-psi targets, it only reaches 25 feet into 10,000-psi concrete – and Iranian cement for new or up-armored underground bunkers has likely progressed well beyond that. US and Israeli HTM alternatives include staged-warhead penetrators and – high on the wish list – novel energetic chemistries with orders-of-magnitude more power than current HTMs. Tactical HTMs with up to four sequential warheads use precursor warheads to blast an initial opening for larger follow-through charges to destroy tanks, fortifications and bridge piers. But these impact at slow speeds compared to what’s needed to kill deep hard targets. The latter need superhard casings (probably single-crystal metals) and packaging to keep their sequenced charges intact during violent impacts of thousands of feet/second (fps). One benchmark is the Department of Energy’s Sandia lab’s success years ago in firing a simulated hard-target RV into rock at 4400 fps. Similarly, reactive-material (RM) munitions and next-generation HEDM (high-energy-density material) explosives and energetic chemistries with orders-of-magnitude more power look promising for the future. But these require years of iterative fly-redesign-fly testing to assure they’ll survive impact with their deep targets. Bottom line: with even the US’s best non-nuclear HTMs marginal against Iran’s critical deep targets, Israel’s HTMs probably wouldn’t do the job either, being lower in kinetic energy on target. Alternatives like using HTMs to destroy entrances to such targets and ventilation shafts may work – but unless Iranian military power and recovery are set back months or years, this damage would be repaired or worked round. Moreover, nuclear facilities tunneled into mountains would be almost impossible to destroy with conventionals. Still, the brains behind Iran’s nuclear bomb, missile and WMD is concentrated in soft targets like the Iranian universities run by the IRGC (Iran Revolutionary Guard Corps), custodian of the bomb program). These can be hit by conventionals under a Peenemunde targeting strategy to kill as many weapon scientists and technicians as possible. (This recalls Prime Minister Winston Churchill’s directive for British bombers to target the residential housing on the small Baltic island where Hitler had sited his V-2 rocket program.) Alternatively, conventional or nuclear EMP (electromagnetic pulse) or HPM (high-power microwave) weapons could destroy for months all the computers and communications that support university-hosted bomb work. This would keep these scientists and surrounding urban populations alive. Third, Obama’s decision to provide Iran “training courses and workshops to strengthen Iran’s ability to prevent, protect and respond to nuclear security threats, including sabotage, to nuclear facilities and systems as well as to enable effective and sustainable nuclear security and physical protection systems” is the clearest indicator that this accord is aimed squarely at Israel. Why? It eliminates the sole option Israel has left now that it lacks the US-supplied conventional HTMs to destroy unexpectedly hard deep targets, forcing it at best into a slow-motion conventionals-only campaign. This would expose it to brutal political and military blowback by Iran and its Chinese, Russian and European suppliers – and by an enraged American president. In essence, it appears that the Obama regime has under the accord deliberately stripped Israel of every option except nuclear pre-emption – which Obama, in typically liberal-progressive fashion, assumes would never happen. Ergo, Israel would be forced to accommodate Iranian military supremacy. Fourth, what may drive an early Israeli nuclear attack are two considerations: (a) Russian S-300 ATBM/SAMs (anti-tactical ballistic missile/surface-to-air missile) in Iranian hands; and (b) Hezb’allah’s thousands of missiles. Russia’s agreement to supply Iran four batteries of its fearsome S-300 by late August for defending priority targets would make it very difficult for Israel to mount the complex precision bombing strategies needed for tough targets. The S-300, the world’s best, can knock down high-speed aircraft from near ground level to almost 100,000 feet. It can also engage some ballistic missiles. Meanwhile, Hezb’allah’s arsenal of more than 60,000 rockets (by some estimates) is a much greater threat to Israel, especially its air force, than is appreciated. Hezb’allah has retrofitted an unknown fraction of these missiles, whose range now covers almost all of Israel, with GPS and precision guidance, allowing them to hit critical targets. Unfortunately, Israel’s Iron Dome and David’s Sling interceptors were designed on the assumption that most incoming missiles would be inaccurate and so the interceptors could be saved only for those approaching critical targets. The result? Hezb’allah rocket campaigns targeting Israeli airbases and other military targets could quickly run Israel out of interceptors. Iran could easily order such a campaign to throw Israel off balance as it focuses on the deadly US-abetted nuclear threat from Iran. An Israeli nuclear pre-emption is thus eminently thinkable. Every other option has been stripped away by Obama’s decision, concealed from Israel, Congress and our allies until it was too late to challenge, to let Iranian bomb-making R&D run free and to harden Iran’s bomb-making infrastructure against Israel – while imposing lethal restrictions on Israeli countermeasures and forswearing any US and allied military attacks, such as B-2’s and B-52’s dropping MOP bombs. …Israel needs to impart a powerful, disorganizing shock to the Iranian regime that accomplishes realistic military objectives: digging out its expensive underground enrichment plants, destroying its Arak plutonium reactor and maybe Bushehr in the bargain, killing its bomb and missile professionals, scientists and technicians, IRGC bases, its oil production sites, oil export terminals and the leaders of the regime where they can be found. …its initial strike must move very fast and be conclusive within 1-2 hours, like the Israeli air attack opening the 1967 Six-Day War. The goal is to so stun the regime that Israel controls the first and subsequent phases of the war and its ending. This means that Israel must hit enough critical targets with maximum shock – and be willing to revisit or expand its targets – so as to control blowback and retaliation from Iran’s allies. In essence, this involves a very fast-paced Israeli redesign of the Middle East in the course of a nuclear war for survival. …what is poorly appreciated is that nuclear weapons from 10 to 300 kilotons (KT) – depending on accuracy – can destroy deep hard targets to 200+ meters depth by ground coupling if they penetrate merely 3 meters into the ground (Effects of Nuclear Earth Penetrators and Other Weapons: National Research Council / National Academy Press, 2005, pp. 30-51). Israel could lower bomb yields or achieve deeper target kills by its reported tests of two-plane nuclear attacks in which the first plane drops a conventional HTM like a GBU-28 to open up a channel; the second plane drops its tactical nuclear bomb into that ‘soft’ channel for greater depth before bursting. This unavoidably would produce fallout on cities downwind. Fortunately, the same medical countermeasures used for radiological accidents (Chernobyl accidents, etc.) – potassium iodide pills (available domestically from www.ki4u.com) – can be airdropped for use by exposed urbanites. …the more important objective, however, is decapitation and economic paralysis by EMP and HPM effects that destroy all electronic, electrical and electromechanical devices on Iranian territory. While a high-altitude nuclear burst would affect most of Iran’s territory, it may not be necessary if smaller, lower-altitude weapons are used. …A small number of nuclear weapons (10-15?) may suffice: one each for known underground hard targets, with one held in reserve pending bomb-damage assessments; several low-yield bombs for above-ground bomb-related depots; and low-yield neutron weapons to hit IRGC and regime targets while avoiding blast and fallout. Reactors can be hit with conventional HPM pulse weapons to burn out electrical, electronic and electromechanical systems for later reactor destruction by Special Forces. A targeting priority (using antipersonnel conventionals) would be university-hosted bomb/missile scientists. …Israeli F-15s and F-16s provide the most accurate delivery for the initial phase – assuming that the S-300 batteries can be decoyed, jammed or destroyed (where Israeli air force experience is unmatched). The small stock of Jericho-2 ballistic missiles probably would be held in reserve. They can’t be used against buried targets unless their re-entry vehicles (RVs) are fitted with penetrator casings and decelerators like ribbon parachutes (used to slow down US test RVs for shallow-water recovery at Pacific atolls) to avoid disintegrating on impact. (Both methods require flight-testing, which is detectable.) Israel’s Dolphin subs in the Red Sea and Indian Ocean can launch nuclear or (probably) conventional cruise missiles with cluster munitions for IRGC targets. The final issue is how Israeli and US leaders would operate in these conditions. An Israeli decision to go nuclear would be the most tightly held decision in history, given the prospect of out-of-control blowback by our current president if that was leaked. Still, Israel sees itself being driven into a Second Holocaust corner, possibly within weeks as the S-300s begin deploying around Iran’s nuclear targets. Once it decides nukes are its only way out, it would simulate and map out all possible event chains and surprises once it launches. Unavoidably, it would also have to decide what to do if it learns the US is feeding its pre-launch mobilization information to Iran, using its electronic listening posts and missile-defense radars in the region. It may have to jam or destroy those US sites. For the US, however, this no-warning nuclear war would land like a thunderbolt on an unprepared White House that would likely panic and lash out as Obama’s loudly touted “legacy” goes up in smoke. The characteristic signatures of nuclear bursts would be captured and geolocated by US satellite. The commander of NORAD (North American Aerospace Defense Command) under Cheyenne Mountain in Colorado Springs would call the White House on the famous red phone. (As one of the few civilians who sat through a red phone alert at NORAD in July 1982, after a Soviet missile sub launched two test missiles off the Kamchatk Peninsulaa, I can testify it is a frightening experience for which nothing prepares you.) Given the psychology of our current president and his emotional investment in his Iran deal, what might follow could challenge the military chain of command with orders that previously were unthinkable. In 2011, well before the multilateral P5+1 “negotiations” with Iran began in February of 2013, Obama put Senator John Kerry in charge of “secret bilateral negotiations on the [Iranian] nuclear dossier.” Kerry then advised Iranian officials that “we are definitely and sincerely willing, and we can resolve the issues” — including Uranium enrichment and the Possible Military Dimensions (PMDs) of Iran’s nuclear program. Iran’s nuclear weaponization and missile development programs have been substantially ignored ever since. Ernest Moniz, who was to become Kerry’s technical adviser, was brought into the P5+1 negotiations at the specific request of the Iranian official — Moniz’ former MIT classmate — who was to be his counterpart. The Iran – North Korea nuclear axis, through which the rogue nations cooperate on nuke and missile development, continues to be ignored. In earlier articles, beginning shortly after the Joint Plan of Action was published in November of 2013, I attempted to show that the focus was on pretending to curtail Iran’s Uranium enrichment programs as they expanded and then granting sanctions relief, while substantially ignoring the program’s “possible military dimensions” (PMDs). Followup articles are here, here and elsewhere. The PMDs have yet to be explored seriously and evidently will not be under the current “comprehensive” joint plan and the secret side deals between the International Atomic Energy Agency (IAEA) and Iran. Ms. Sherman was right about the rhetorical nature of administration assertions, but wrong about IAEA access, of which there will apparently be little or none pursuant to the secret deals between Iran and the IAEA. Top among the pro-regime fund-raisers who have contributed to the Kerry campaign is a recent Iranian immigrant in California named Susan Akbarpour. The Kerry campaign credits Miss Akbarpour and her new husband, Faraj Aalaie, with each raising $50,000 to $100,000 for the presidential campaign. Mr. Aalaie is president of Centillium Communications, a Nasdaq-listed software firm. These contributions continue . . . even though Miss Akbarpour was not a permanent U.S. resident when she made her initial contribution to Mr. Kerry on June 17, 2002, as this reporter first revealed in March. (To be legal, campaign cash must come from U.S. citizens or permanent residents). On August 10th of this year, the Middle East Media Research Institute (MEMRI) published a lengthy article quoting Iranian officials on their dealings with Senator Kerry. Obama had put Senator John Kerry in charge of “secret bilateral negotiations on the [Iranian] nuclear dossier” well before the multilateral P5+1 “negotiations” with Iran began in February of 2013. The texts of the November, 2013 Joint Plan of Action, as well as the July 14, 2015 “deal,” could easily have been predicted based on Kerry’s 2011 response to the Iranians. Some Iranian-Americans believe that Secretary Kerry should have recused himself from the negotiations at the very outset because of his long-standing relationship to his Iranian counter-part, Mohammad Javad Zarif. The two first met over a decade ago at a dinner party hosted by George Soros at his Manhattan penthouse, according to a 2012 book by Hooman Majd, who frequently translates for Iranian officials. Iranian-American sources in Los Angeles tell me that Javad Zarif’s son was the best man at the 2009 wedding between Kerry’s daughter Vanessa and Behrouz Vala Nahed, an Iranian-American medical doctor. The newlyweds went to Iran shortly after their wedding to met Nahed’s family. Kerry ultimately revealed his daughter’s marriage to an Iranian-American once he had taken over as Secretary of State. But the subject never came up in his Senate confirmation hearing, either because Kerry never disclosed it, or because his former colleagues were too polite to bring it up. Clearly, there are two reasons: Obama needed someone outside the administration, and Kerry’s status and track record made him a natural. John Kerry was the perfect choice. Moniz, the U.S. Energy Secretary, was asked to join the P5+1 technical discussions at the request of Ali Akbar Salehi, head of Iran’s Atomic Energy Organization. Salehi said that one of the more difficult times negotiating with Moniz was after they reached an agreement on a particular issue. Moniz would take it to the other members of P5+1, who would then make their own requests. Moniz was likely as forthcoming with the non-US members of P5+1 as he was with members of the U.S. Congress; not at all. This is a drum I have been beating for years. Recent articles are available here and here. The Obama Administration persists in covering up what it knows on the subject and the current “deal” with Iran is silent on the matter. So, of course, was the November 2013 Joint Plan of Action. Forbes published an article by Claudia Rosett today (August 13th) on the subject and, beyond noting that Douglas Frantz is Kerry’s Assistant Secretary in charge of the Bureau of Public Affairs, she observes that in his former capacity as a journalist for the Washington Post and New York Times, he wrote about the nature and perils of the axis. The real issue, of course, is not the career timeline of Douglas Frantz, but the likelihood, past and future, of nuclear collaboration between Iran and North Korea. Frantz may no longer be a journalist, but it’s hard to see why that should constrain him, or his boss, Secretary Kerry, from speaking publicly about important details of Iran’s illicit nuclear endeavors — information which Frantz in his incarnation as a star journalist judged credible enough to publish in a major newspaper. Fresh satellite images suggest North Korea is expanding its uranium extraction capacity, possibly with a view to increasing its stockpile of nuclear weapons. The images taken in Pyongyang show Kim Jong-un has begun to refurbish a major mill that turns uranium ore into yellowcake – a first step towards producing enriched uranium. A recent report by U.S. researchers warned that Kim was poised to expand his nuclear programme over the next five years and, in a worst-case scenario, could possess 100 atomic weapons by 2020. “Negotiations” involving hostile foreign nations such as Iran are easier when led by friendly “negotiators” with compatible interests. At least since his failed 2004 campaign for the presidency, Kerry has been on Iran’s side and has favored it over the United States. While pretending for political purposes to be against Iran’s nuclear program, Obama was and remains in favor of it, pretenses to the contrary notwithstanding. Obama, Kerry and Moniz got the deal they wanted. They, along with their P5+1 partners, richly deserve their resultant legacy of empowering Iran as an anti-American, anti-Israel, anti-Western civilization, Islamist hegemonic nuclear power with a disgraceful human rights record comparable to that of its partner, North Korea. 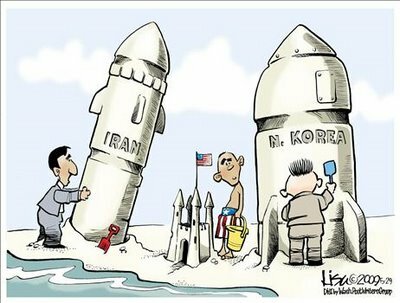 The Iran – North Korea nuclear axis has helped both rogue nations to develop and create nuclear bombs and the means to deliver them, with very little in the way of “adult supervision.” The failure to deal with even tangentially, or even to mention, the axis will likely become a significant part of Obama’s legacy. Ours as well. Bringing Obama’s vision of stability to the Middle East, Allah willing. This video is from August 2010. Now it may well be too late to stop Iran. Iran has tested how to conduct an EMP attack, such as by attaching a nuclear weapon to an orbiting satellite or launching a nuclear-armed missile into the atmosphere from a ship. Iranian military leaders have endorsed an EMP attack against America, according to secret Iranian military documents that Pentagon officials have translated, and the Pentagon’s North American Aerospace Defense Command is moving back into Cheyenne Mountain in Colorado because it can resist an EMP attack. Just four days after U.S.-led global powers and Iran completed their nuclear deal, Ayatollah Ali Khamenei, Iran’s supreme leader, reaffirmed the “Death to America” mantra that has pervaded his regime since its establishment in 1979, stating, “The entire country is under the umbrella of this great movement.” Iran has killed hundreds of Americans in the Middle East, both directly and through its terrorist proxies. It has threatened U.S. regional interests by funding anti-Israeli terrorists, propping up Syria’s terror-backing Bashar al-Assad and de-stabilizing U.S.-backed governments. Moving forward, this deal will enable Tehran to threaten U.S. security more directly in at least two ways: First, Iran could deploy a nuclear warhead on one of its ballistic missiles and fire it at the United States. Iran is building increasingly sophisticated ballistic missiles, with its Shahab-3 able to reach Israel, and the Sejjil that it’s developing capable of reaching Italy and Poland. Tehran also announced plans to build missile silos in what experts consider a precursor to deploying longer range missiles. Second, Iran could detonate a nuclear device over the United States in an electromagnetic pulse attack that destroys our electric grid, putting the nation in the dark for months and eventually leaving 90 percent of Americans dead from disease or starvation. That Iran can develop nuclear weapons under the deal, making these two scenarios plausible, is clear; the only question is when. For starters, the deal is time-limited and, as restrictions end in 10-15 years, Iran can pursue two paths to a bomb – enriching uranium to weapons-grade levels or building plutonium-producing reactors, or both. But Tehran need not wait that long because international inspectors will be hard-pressed to confirm that Iran is abiding by the deal’s restrictions on how much uranium it’s enriching, how many centrifuges it’s operating, and what it may be doing at secret sites that the world has not yet discovered. That’s because rather than “anywhere, anytime” inspections, Iran will have 24 days to comply with requests from the International Atomic Energy Agency to visit a suspected undeclared site, during which Iran can move, hide, or destroy evidence of its nuclear progress. If Iran refuses to allow a site visit after 24 days, global leaders likely would begin further negotiations with Iran that would give the latter weeks more to clean up a site. Nor, under this deal, must Tehran reveal the military-related dimensions of its nuclear work to date, leaving the world dangerously ignorant of how close it already is to developing and deploying a nuclear weapon and also leaving inspectors without a baseline against which to judge Iranian compliance in the future. Moreover, the $100 billion to $150 billion in sanctions relief will give Iran a huge windfall to develop a more robust infrastructure for nuclear weapons production – either quickly by evading the weak inspections regime or more patiently by waiting about a decade until the world frees Iran of all restrictions. I recommend that the president make a unilateral declaration that the United States will shoot down any Iranian (or North Korean) satellite unless an inspection demonstrates that no nuclear payload is involved. His negotiators could work out acceptable details that would be consistent with those negotiated with the Soviet Union over 25 years ago. Now that would be a treaty worth having. There are many things wrong with the deal with Iran that, at a minimum, paves the road for Iran to get nuclear weapons and deliver them to attack Israel and the United States. This remains the explicit goal of the Iranian mullahs and their followers, who greeted the deal with chants of “Death to Israel” and “Death to America.” I could join the chorus recounting those many faults. But I prefer to emphasize something that is missing entirely from the debate: The mullahs and their followers may be able to achieve their goal with a capability they already have. Iran launched a monkey into space on January 28, 2013 — almost 30 months ago. As then reported by Yeganeh Torbati in a Reuters article, this feat entailed launching a satellite weighting 4,400 pounds — much, much more than enough to carry a nuclear weapon. The month before this monkey business, the Congressional Research Service published a report — Iran’s Ballistic Missile and Space Launch Programs — that, among other things, described a new Iranian satellite launch site at the mouth of the Persian Gulf. The site had been reported to be 80 percent complete in June 2012. Presumably, it can launch satellites southward over a wide swath of directions. Such a satellite could pass over the United States in its first orbit. A launch over the South Polar regions would approach the United States from a direction that avoids our current ballistic-missile defense (BMD) systems, which are focused on defending against intercontinental ballistic missiles (ICBMs) that approach the United from the north. In effect, we have left our back door open while working to lock the front door. This past February, Iran conducted its fourth satellite launch to the south, during national ceremonies marking the 36th anniversary of the 1979 Iranian Revolution. This satellite was reported to weigh only 110 pounds and is in orbit at an altitude varying between 139 and 285 miles. This range of altitudes fits for Iran to detonate a nuclear weapon over the United States and produce an electromagnetic pulse (EMP) that would shut down the electric-power grid of the continental United States for an indefinite period. Within a year, 200 million Americans could perish from starvation, disease, and societal collapse, according to estimates of members of the Congressional EMP Commission. Executing this existential threat is much simpler than delivering a nuclear weapon by an ICBM, because the nuclear weapon would be detonated above the atmosphere — no proven ability to reenter the atmosphere is needed. Two points deserve emphasis. First, Iran already may have access to nuclear weapons, either in its own right or through cooperation with its ally, nuclear-capable North Korea — which also launches its satellites over the South Polar regions and can exploit the same U.S. vulnerabilities. And second, we should not permit this vulnerability to persist while being distracted by a debate about potential future Iranian capabilities. In turn, two straightforward action items seem obvious. First, we must deal with the EMP threat. The Department of Defense knows how; it has been protecting its key military systems against EMP effects for a half century — but it has not similarly been protecting the infrastructure upon which the survival of the American people depends. President Obama should knock heads until his lieutenants get their act together and address this deficiency. And second, we must defend against the threat from the south. We currently have no defense against the aforementioned satellites that approach us from over the South Polar regions, or against ballistic missiles launched from vessels in the Gulf of Mexico. The first might be addressed by empowering our missile-defense site at Vandenberg Air Force Base with sensors that track the threatening satellite. The second could be addressed by deploying on military bases around the Gulf the same Aegis Ashore BMD systems that we are building in Romania and Poland to protect Europe against Iranian ballistic missiles. While the EMP threat can be handled entirely by unilateral U.S. actions, diplomacy can play a role in countering the satellite threat. There are legitimate, non-threatening reasons for Iran (or North Korea) to launch satellites. But they should assure us that such launches do not carry nuclear weapons. And these assurances must be verified with high confidence. I recommend that the president make a unilateral declaration that the United States will shoot down any Iranian (or North Korean) satellite unless an inspection demonstrates that no nuclear payload is involved. His negotiators could work out acceptable details that would be consistent with those negotiated with the Soviet Union over 25 years ago. Now that would be a treaty worth having. 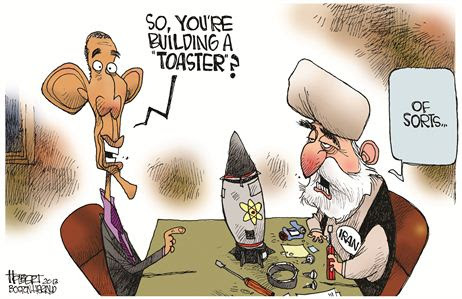 It is likely that the P5+1 nuke “deal” with Iran will be approved soon. Military and other nuke sites which Iran has not “disclosed” will not be inspected. Nor will Iran’s nuke ties with North Korea — which P5+1 member China seems to be helping, Iran’s massive support for terrorism and abysmal human rights record be considered because they are also deemed unnecessary for “deal” approval. Sanctions against Iran are moribund and will not be revived regardless of whether there is a “deal.” However, a bronze bust of Obama may soon be displayed prominently in Supreme Leader Khamenei’s office and one of Khamenei may soon be displayed proudly in Dear Leader Obama’s office. The North – Korea connection is a “natural,” and its basis should be obvious: Iran has been receiving funds through sanctions relief and will get substantially more when the P5+1 “deal” is made. North Korea needs money, not to help its starving and depressed masses, but to keep the Kim regime in power and for its favorites to continue their opulent lifestyles. As I have written here, here and elsewhere, North Korea has been making substantial progress on nuclear weapons and means to deliver them, which it shares with Iran. Now, China appears to be intimately involved in their transfers of nuclear and missile technology as well as equipment. The information is particularly damaging given that Admiral Bill Gortney, Commander of North American Aerospace Defense Command (NORAD) and US Northern Command (USNORTHCOM), admitted this month that the Pentagon fears that North Korea and possibly Iran can target the US with a nuclear EMP strike. This comment was a compendium of contradictions and untruths. Sure, John. 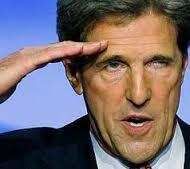 A June 17th article at Power Line on the same subject is titled Kerry’s absolute idiocy. Here are the highlights from a March 29, 2015 article at The Daily Beast titled Does Iran Have Secret Nukes in North Korea? Inspections? We don’t need and won’t get no stinkin inspections since His Omniscience Kerry knows everything and is not troubled by it. The cross-border nuclear trade is substantial enough to be called a “program.” Larry Niksch of the Center for Strategic and International Studies in Washington, D.C., estimates that the North’s proceeds from this trade with Iran are “between $1.5 billion and $2.0 billion annually.” A portion of this amount is related to missiles and miscellaneous items, the rest derived from building Tehran’s nuclear capabilities. Iran has bought a lot with its money. Mohsen Fakhrizadeh, thought to be Tehran’s chief nuclear scientist, was almost certainly in North Korea at Punggye-ri in February 2013 to witness Pyongyang’s third atomic test. Reports put Iranian technicians on hand at the site for the first two detonations as well. The North Koreans have also sold Iran material for bomb cores, perhaps even weapons-grade uranium. The Telegraph reported that in 2002 a barrel of North Korean uranium cracked open and contaminated the tarmac of the new Tehran airport. Last September, at the same time Iran was secretly meeting with U.S. officials to set up the current nuclear talks, North Korea leaders visited Tehran and signed a science and technology agreement that is widely seen as a public sign the two countries are ramping up their nuclear cooperation. On February 13, 2013, DEBKAfile reported that North Korea — Iran nuclear connection is substantial. The Feb. 11 test has been described by experts as a miniaturized atomic bomb test of a relatively small yield of 6-7 kilotons, mounted on a Nodong missile. if North Korea’s technical advances are substantive, its missiles, armed with small nuclear weapons, might soon be able to reach the continental United States — not just Hawaii and Alaska. Further, if such missile threats were to come from submarines near the U.S., North Korea would be able to launch a surprise nuclear-armed missile attack on an American city. In this view, time is not on the side of the U.S. Submarine-launched missiles come without a “return address” to indicate what country or terrorist organization fired the missile. The implications for American security do not stop there. As North Korea is Iran’s primary missile-development partner, whatever North Korea can do with its missiles and nuclear warheads, Iran will presumably be able to do as well. One can assume the arrangement is reciprocal. Although attempts have been made to debunk recent photoshopped images of North Korea firing of a missile from a submerged platform, the immediately linked Gatestone article offers substantial reasons to think that it was indeed fired and that it is troubling. What about Russia which, like China, is a P5+1 member? Russia announced in late May of this year that it would build an Iranian nuclear reactor for “peaceful” generation of electricity. It announced in April that it would provide accurate, long range S-300 missiles to Iran. Western officials say delivery of the system would essentially eliminate the military option to stop Iran from obtaining nuclear weapons. During a press conference Monday, Iran’s Deputy Foreign Minister for Arab and African Affairs Hossein Amir-Abdollahian said that the missiles will be delivered as soon as possible. On September 23, 2014, the Iranian FARS News Agency announced that Iran was completing its own version of the S-330 missile. Last month, senior Iranian military officials announced that their home-grown version of the Russian S-300 missile defense system, called Bavar (Belief)-373, has already been put into test-run operation and has once shot at a target successfully. Commander of Khatam ol-Anbia Air Defense Base Brigadier General Farzad Esmayeeli told the Iranian state-run TV that “Bavar-373 has fired a first successful shot”. Might Russia have given Iran the plans needed to build its own version of the Russian missile? Why not? We have to guess far more than we actually know about the North Korea – China – Iran nuclear connection. That is unfortunate. It is absurd that the P5+1 joint plan of action and the White House summary focus on Iran’s uranium enrichment to the exclusion of its militarization of nukes. Since nuke militarization, among other substantial matters, is deemed irrelevant to whether there is a “deal,” so is the connection with North Korea, China and possibly Russia. Obama wants a “deal” with Iran, regardless of what it may say or — more importantly — what it may not say. Iran, an already powerful theocratic totalitarian state with extensive hegemonic ambitions, is about to become (if it is not already) a nuclear power. So equipped, it can extend its rule over the Middle East and beyond, bringing the “peace” of submission to Islam. Obama may favor this outcome and in any event appears to be at best indifferent. Iran is ruled by Ayatollah Khamenei, its supreme political and religious power. He has the ultimate authority to approve or reject any P5+1 agreement, should there be one — which seems increasingly likely due to Obama’s ludicrous efforts to concede every possible matter of substance. Obama wants a foreign policy legacy and needs a “deal;” Iran does not need a “deal.” It has already benefited greatly from sanctions relief. Other nations have also benefited economically to the point that even were the U.S. to try to reimpose sanction such trade would continue and expand. Moreover, it is highly likely that Iran has done all of the necessary technical research on nukes and on delivery devices to the extent that, regardless of whether there is a “deal,” Iran can have deliverable nukes within a few months if not sooner. As I pointed out here, the insanity of the 2013 framework, adhered to except when arguably in America’s favor, led inexorably to this result. The North Korea – Iran linkage makes the problem worse. Chinese nuclear experts recently revised their estimation of North Korea’s current possession of nukes:. Iran and North Korea have a long history of nuclear cooperation. Delivering North Korean technology, materials and nukes to Iran would not be very difficult. I addressed the problem here, here, here and elsewhere. The Iranian Shiite theocracy is totalitarian in every sense of the word; it has not moderated under “moderate” President Rouhani. To the contrary, it seems to have worsened. To the extent that credible figures are available, sexually transmitted disease has risen and the birth rate in Iran has fallen, considerably in recent years. Despite sanctions relief, poverty has increased. Where has the money gone? Iran pursues its hegemonic ambitions, most recently to help the Houthi in Yemen, while continuing to provide economic, logistical and weapons support to its other proxy terrorist organizations such as Hamas, Hezbollah, the Muslim Brotherhood and others. Iran is very likely motivated by its own desire eventually to control the Middle East and beyond. The recent Iranian hijacking of a cargo ship under “U.S. 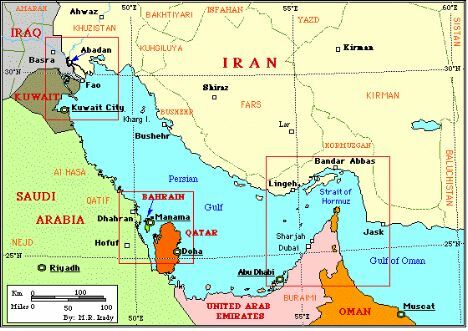 protection” may well have been an Iranian warning to Saudi Arabia, an American ally and leading opponent of the Iranian proxy war by Houthi in Yemen, that it can and might close the Strait of Hormuz to Saudi oil exports. Given the US’s formal, binding obligation to the Marshall Islands, the Iranian seizure of the ship was in effect an act of war against America. If the US allows Iran to get away with unlawfully seizing a Marshall Islands flagged ship it is treaty bound to protect, it will reinforce the growing assessment of its Middle Eastern allies that its security guarantees are worthless. What can other nations, with which America has treaties calling upon us to come to their defense, expect from the Obama administration if attacked by Iran? Precious little. Under credible threat from nuclear attack by Iran and lacking actual (as distinguished from verbal) support from the Obama administration, Middle East Arab nations cannot be expected to resist very effectively, even as they seek to obtain their own nuclear arsenals. Israel, the “Little Satan?” She would fight fiercely to the end, but might be overcome. Perhaps she will take the initiative and destroy Iran’s nuclear facilities before they become too extensive and better protected, perhaps by missiles provided by Russia. I suggested here that she can and should do so. Here is a link to a far more detailed analyses of what she can and should do, soon. America, the “Great Satan,” is not immune to an Iranian nuclear attack. As I suggested here, a nuclear armed Iran could launch an EMP attack to drive the U.S. back to the stone age. Such an attack would increase Iran’s hegemonic potentials, and hence ambitions, by foreclosing the possibility of American help to nations with which we have protection treaties. However, even without an EMP attack, Obama would not provide much help. Therefore, I wonder whether — despite all of the continuing Iranian “death to America” bluster — Iran would be foolish enough to do it before Obama leaves office. He does His best to help Iran get nukes and pursue its hegemonic ambitions. Why try to kill a staunch friend like Obama’s America? The Obama administration — and many voters — view global warming, climate change, climate disruption and whatever new phrases as may be developed as the most severe threat to humanity. An interesting article titled Progressives at the Poker Table compares “Progressive” attitudes toward “the threat of climate warming and that of a nuclear-armed Iran.” Predictably, the Obama Administration and most of the “legitimate news media” are far more concerned about the former than the latter, even though there is little if anything that we can do, even at great expense, about climate change (mostly natural in origin). If so disposed, there is quite a lot that we could do about the far greater, and in any event more immediate, threat from a nuclear Iran. Perhaps it’s simply easier to stage pious shows about costly but ineffective ways to “save the Earth” than to make useful efforts to save humanity from Islamic ravages. The Congress probably won’t do anything to stop it, so Iran will very likely have nukes and the missiles with which to deliver them soon — if it does not already have them. Hitler made a “deal” with Prime Minister Chamberlain years ago and returned from Munich to display a piece of paper signed by Hitler. Crowds cheered. Hitler laughed and continued his hegemonic pursuits throughout Europe. Hitler could have been stopped with relative ease long before World War II erupted but wasn’t. The “Peace in our time” meme was too powerful. Then we fought WWII. Is that how the current mess with Iran will turn out? A comparison of the progressive approach to the threat of climate warming and that of a nuclear-armed Iran offers interesting insights into the progressive mind. Let’s start with climate warming, which according to the best measures, inconveniently stopped about 18 years ago. First, what is the magnitude of the threat? The most alarmist predictions of future catastrophe are based on computer-generated climate models that have been consistently refuted by events of the real world. 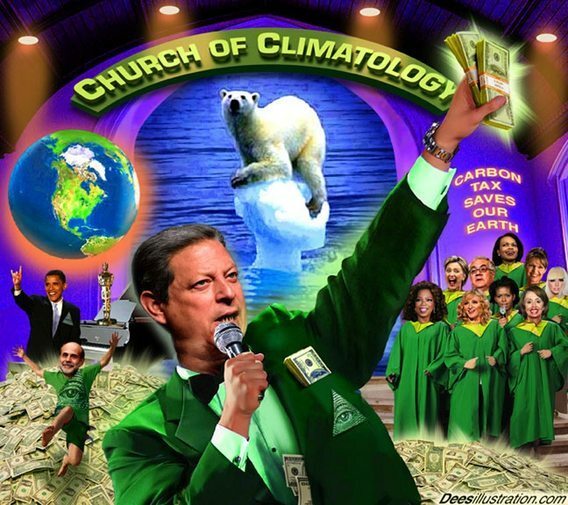 According to the alarmists, there would be fifty million refugees from global warming by 2010. Never happened. Those models are based on a variety of assumptions about “feedback mechanisms” generated by increased CO2 in the atmosphere trapping more heat. NASA satellite date from 2000-2011 showed far more heat escaping the earth’s atmosphere than predicted by the computer models, according to study in the peer-reviewed journal Remote Sensing. Nor is clear to what extent the global warming of the 20th century was generated by anthropogenic forces – i.e., increased CO2 emissions. Many leading climate scientists now think that solar activity — about which we can do nothing — may be a larger contributor to temperature variation than carbon emissions. That would be consistent with the wide fluctuations between warm and cold periods over the last millennium, even prior to the onset of the Industrial Resolution. Scientists at CERN, the European Organization of Nuclear Research, which involves 600 universities and national labs and 8,000 scientists, have shown that cosmic rays promote the formation of molecules that grow and seed clouds. And clouds trap heat in the atmosphere. The magnitude of cosmic rays emitted by the sun depends on variations in the sun’s magnetic field. Finally, that which the alarmists consider an unmitigated disaster — higher levels of CO2in the atmosphere may have many beneficial effects. A 2012 statement signed by 16 distinguished scientists from universities like Harvard, Princeton, MIT, and the Hebrew University, pointed out that CO2 is “not a pollutant,” but rather a “key component of the biosphere’s life cycle.” Higher concentrations of CO2 spur plant growth. These proposals are put forward seemingly oblivious to the economic cost or loss of liberty involved. In his 2001 book The Skeptical Environmentalist, Danish statistician Bjorn Lonborg calculated that enforcement alone of the Kyoto Treaty would cost $150,000 billion a year, money which could save tens of thousands of lives annually. The above-mentioned statement of the 16 scientists cited the work of Yale economist William Nordhaus, whos showed that the highest benefit-to-cost ratio would be achieved via a policy of fifty years of economic growth unimpeded by greenhouse gas controls. The least developed countries would benefit most by being able to share some of the advantages of material well-being — i.e., health and life expectancy — with the more developed world. That fact alone creates a world with as many tripwires leading to war as Europe on the eve of the assassination of Archduke Ferdinand in August 1914. Only this time the weapons of choice will be nuclear. 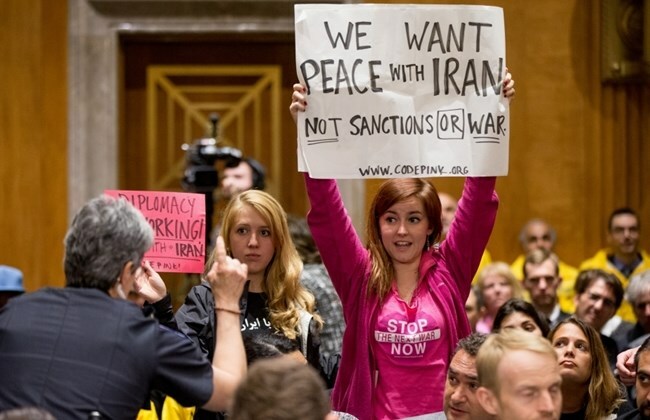 The proposed agreement with Iran means the end of nuclear non-proliferation. If the world’s leading rogue state and sponsor of terrorism can have its nuclear weapons program effectively endorsed by the members of the U.N. Security Council, every other nation that was dissuaded in the past by international pressure from expanding its civilian nuclear program to include enrichment to weapons level – e.g., South Korea, Brazil – will reconsider. The most rapid nuclear proliferation will take place in the world’s most volatile region, the Middle East, in which the millennial hatred of Sunnis and Shiites still burns hot. Saudis have made it clear that they will purchase nuclear weapons off-the-shelf from Pakistan, as per a prior agreement, to counter Iran’s ability to obtain nuclear weapons. Egypt and Turkey will almost certainly follow suit. An already aggressive Iran would become vastly more so with the hundreds of billions of dollars in revenues from the lifting of sanctions and the ability to provide a nuclear umbrella for its regional proxies. As a consequence, the Middle East would become all the more volatile. The nations most likely to acquire nuclear arms and unstable, which increases the possibility of terrorist groups acquiring nuclear weapons. Iran has long eyed the “holy cities” of Mecca and Medina, and is already stirring up the Shiite population in Saudi Arabia’s eastern, oil-producing provinces and in Yemen on its southern border. Egypt cannot feed its population. And Iran might find it useful to supply some of its non-state allies, like Hezbollah or Hamas, with dirty nuclear weapons that do not require missiles to deliver. Non-state actors are far harder to deter or hold accountable. A nuclear Iran should terrify not only Israel, which it has repeatedly threatened to obliterate. Iranian leaders have publicly speculated for years about the grim calculus of a nuclear exchange with Israel: one bomb wipes out Israel; Israeli retaliation still leaves us with tens of millions survivors. Former CIA Director James Woolsey and Peter Fry, a member of the congressional EMP (electro-magnetic pulse) Commission, stress the vulnerability of the United States. The recent “understanding” (the terms of which are unknown and perhaps unknowable given the wide divergence between American and Iranian descriptions of what has been concluded) makes no reference to any limitations on Iran’s ballistic missile program, on which it works closely with North Korea. Iran may soon possess long-range missiles capable of reaching the United States or the capacity to launch a nuclear-armed satellite above the United States. Even one nuclear weapon detonated above the United States could potentially knock out much of the national power grid. The congressional EMP Commission estimated that a nationwide blackout lasting one year from such an EMP attack could result in the deaths of nine out of ten Americans, with ISIS-like gangs ruling the streets. As the dean of Middle East scholars Bernard Lewis has pointed out, for Shiite fanatics awaiting the return of the “hidden Imam,” after a cataclysmic event, the destruction of nuclear war might be an inducement rather than a deterrent. WHAT DOES PRESIDENT OBAMA offer as the response to this description of a nuclear tinderbox waiting to be lit? Pure fantasy. He and Secretary of State Kerry have made repeated references to a fatwa of the Supreme Leader Ayatollah Khameini against the use of nuclear weapons, which does not exist and certainly is credited by none of Iran’s enemies. And he speaks hopefully of a newly mellowed Iran after the conclusion of an agreement. What is it about the Supreme Leader’s repeated chants of “Death to America” and insistence that current negotiations have nothing to do with reconciliation that the President can’t hear? One option that the President has completely excluded is an air campaign to destroy Iran’s nuclear infrastructure and cut of the “head of snake,” as Woolsey once described the Revolutionary Guard to me. Obama has repeatedly accused the opponents of the Lausanne understanding as being advocates of war. Yet no one doubts that the United States has the capability to destroy Iran’s enrichment infrastructure. (If Russia goes through with the delivery of advanced anti-aircraft batteries, as a consequence of the Lausanne understanding, the task will be complicated.) And there will be consequences that cannot be fully known in advance. Iran has terrorist sleeper cells around the world. But it also has lots of assets, besides its nuclear infrastructure, which would be subject to further attacks if it unleashes those cells. Whatever the Iranian response, the price to be paid will certainly be less than consigning all humanity to live in a world perpetually poised on the cusp of nuclear war. SO WHY in the case of global warming are progressives willing to incur unbearable costs to combat a future threat of unknown magnitude and immediacy, and against which their solutions may well prove futile, while with respect to the easily identified and imminent danger of a nuclear-armed Iran, they write off from the start a clear and known remedy? For progressives the solution of worldwide government, run by the executive decree of “the best and the brightest,” is not a cost too great to be contemplated, but rather the fulfillment of the progressive dream. But they will never countenance military action, even to save millions of lives down the road. Churchill’s dictum, “If you want peace, prepare for war,” remains foreign to them.